Golden Gate Park is one of San Francisco’s gems. From hands-on museums and luscious gardens to an amazing playground and gorgeous vistas, Golden Gate Park is full of fun activities for families. At roughly three miles long and stretching nearly half the width of the city, Golden Gate Park could be intimidating. Luckily, most everything that appeals to families is located within the eastern half of the park, and is made easily accessible for tourists thanks to prominent maps and great directions. Tip: Though Golden Gate Park is only a few miles from Union Square and about five miles from Pier 39 it can feel as if one left sunny California for foggy, drizzly coastal Alaska. Bring a jacket and be prepared for the fog to roll in or out at a moment’s notice. No matter what the weather, families will enjoy Golden Gate Park. Stay warm on chilly days in the California Academy of Sciences. With ceiling to floor aquariums, a fun preschool play area, and Claude the albino alligator, this museum easily offers a few hours of educational fun for the whole family. While there, take note of the living roof that tops the Academy’s new sustainable building! Don’t Miss: The penguins at the end of the Tusher African Hall, a favorite for all ages. 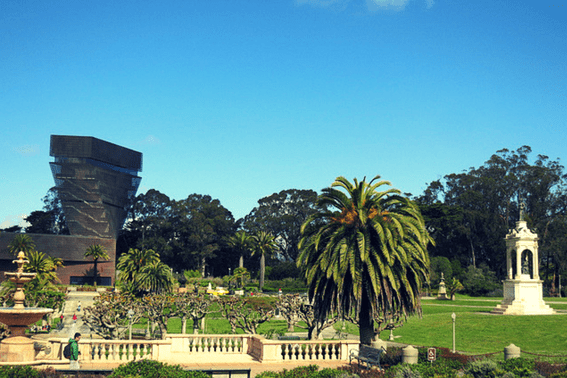 Golden Gate Park is home to both of San Francisco’s fine art museums: the de Young Museum and the Legion of Honor. Visiting with young children? Definitely consider including one of de Young Museums’s children’s art class on the itinerary (often available for free on Saturday mornings). The Legion of Honor, located in the northwest corner of the city, is a more elegant and traditional art museum. 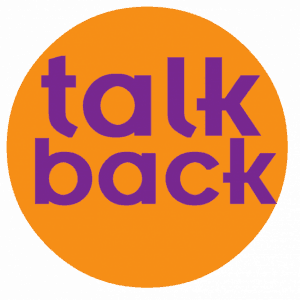 While all ages are welcome, families should be prepared to educate their kids on proper museum decorum. The Conservatory of Flowers is an impressive Victorian architecture building (the oldest glass and wood conservatory in North America), and is packed with beautiful flowering tropical plants. Experience rotating family-friendly exhibits in the greenhouse. My little visitors loved learning about model trains and butterflies during our two visits. If it’s a nice day in Golden Gate Park, get outdoors and enjoy it! 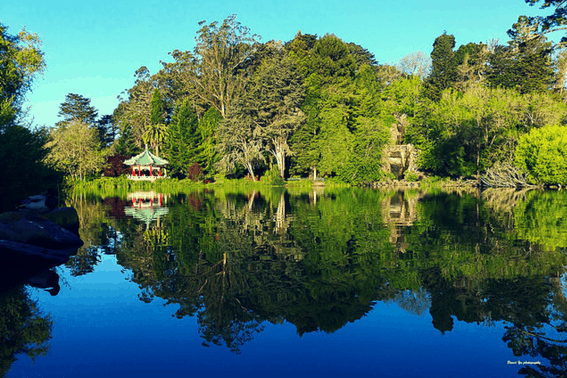 A great destination for families with toddlers is Stow Lake, which has been part of Golden Gate Park for more than 100 years. There are toddler-friendly paths around the lake and ducks to feed. It is beautiful, rarely crowded, and only a 10 minute up-hill walk from the California Academy of Science. Tip: The direct path from the Japanese Tea Garden to Stow Lake has a lot of stairs and is not stroller-friendly. 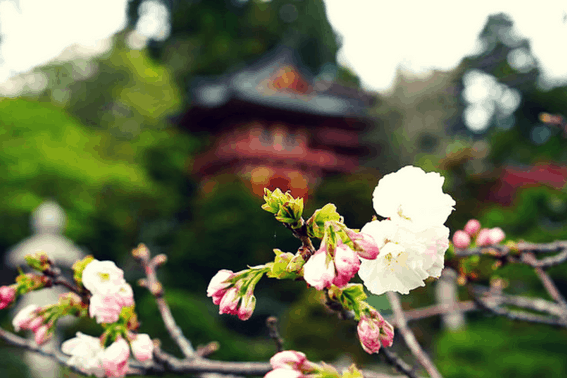 Visiting during cherry blossom season or have kids who enjoy nature? Enjoy the tranquility of the beautiful Japanese Tea Garden. On certain days the first hour of the day is free, so be sure to check ahead of time. Don’t worry, however, if your favorite flower isn’t the cherry blossom. Golden Gate Park doesn’t play favorites. The rose garden, dahlia garden, and azalea garden are all free and within walking distance of the parking garage. The San Francisco Botanical Garden is also fun to wander, but does have a fee. If you are visiting with older children, you might consider taking a walk through the National AIDS Memorial Grove. Visiting the area on a stormy day or need a Pacific Ocean fix? I highly recommend making a trip out to Ocean Beach. While it is not technically part of Golden Gate Park (it is part of the Golden Gate National Recreation Area), it is just across the street from the park, and worth a visit. Now, I would never swim or wade at this beach, but it is the perfect place to see and hear some awesome, big waves. During the drive to the coast, stop and look for buffalo at the bison paddock, and see the windmills on the park side of the Great Highway from the beach. Tip: While Golden Gate Park may look like a fun place for an off-road adventure, it’s best for cycling families to head to the Marina waterfront and Golden Gate Bridge while hikers should take on the Land’s End Trail. There’s no need to leave the park for good food. 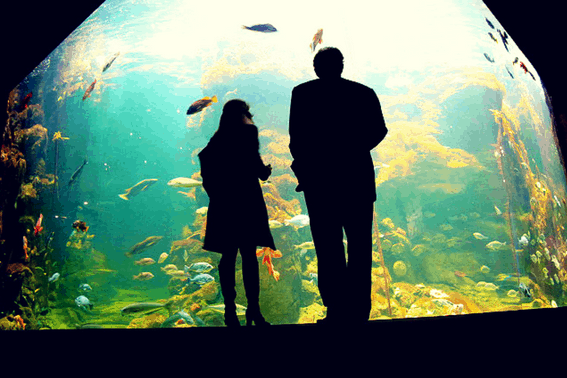 When my kids were toddlers, my favorite restaurant was the cafeteria at the California Academy of Sciences. They have exceptional cafeteria food. The best part is that aquariums are right next to the seating area. While my busy toddlers quietly watched the fish go by, I could enjoy my Vietnamese Chicken Pho and a cookie. There are also countless restaurants on Irving Street just a block away from the Golden Gate Park. To fulfill that craving for a quick bakery snack, stop at Arizmendi Bakery. 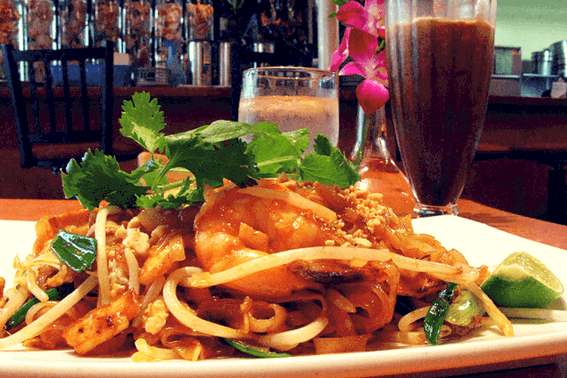 Family-friendly Thai food can be found at Marnee Thai less than a block outside the park. Plutos is a great choice for made-to-order salads, and more. My personal favorite is the pepper steak sandwich at the Yellow Submarine. To have the best chance at street parking, arrive before the museums open. Read signs carefully for time limits and street cleanings; there are traffic cops, and they will issue parking tickets. My favorite place to find parking on the street is by Stowe Lake or between the California Academy of Science and the Koret Children’s Playground. For those who are not city drivers or early birds, there is an underground parking garage, Music Concourse Parking Facility, between the de Young Museum and California Academy of Sciences. I’ve used it in a pinch, and it was worth every penny. Tip: The main road through the park is closed on Sundays to car traffic. 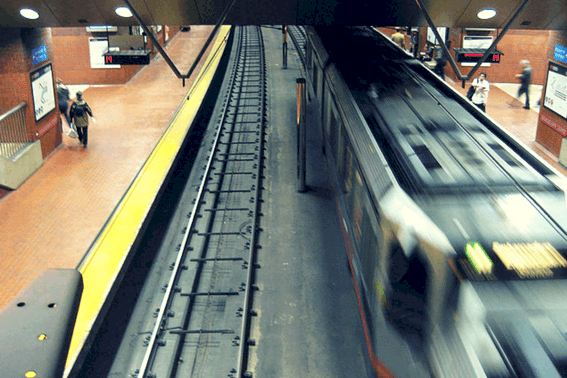 If you are planning a Sunday visit, it’s best to find the parking garage quickly or use public transport. We’d love to hear from you. Have you been to Golden Gate Park? Leave us a comment letting us know what you would love to do in Golden Gate Park with your family.